Another month gone by means it's time to gather up May's empties. Here are the products I finished up last month. 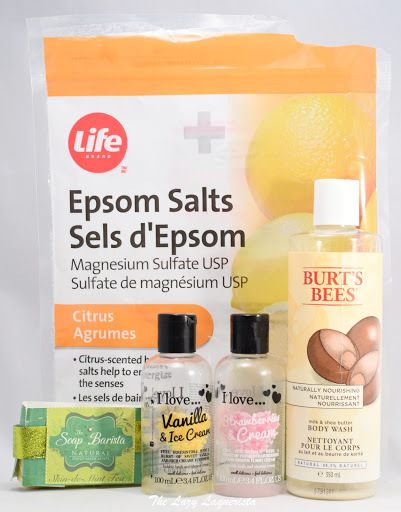 You're probably super sick of seeing how much citrus epsom salts I go through but they are here again. I also finished up a bottle of Burt's Bees Naturally Nourishing Body Wash which I really liked. It was creamy and moisturizing but didn't make my shoulders break out. I also finished up a couple of I love... bubble baths and a soap sample from Soap Barista that I got in a Sweet Delights sample box. Lots of face products this month. 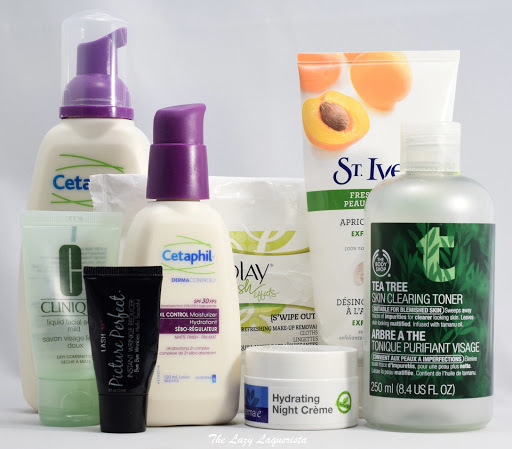 You can check out my original review of the Cetephil DERMACONTROL in which I wasn't a huge fan of the moisturizer. However, I ended up using the rest of the bottle as body sunscreen and I really like it for that application. It didn't make me break out nearly as badly as regular sunscreen and left my skin feeling less greasy. I also finished up a pack of Olay Fresh makeup removing cloths with I love when I'm traveling. The derma e hydrating night creme I got from Birchbox was a surprise favorite. It was moisturizing without making my break out. I will definitely consider buying more. I absolutely hated the Lashem Picture Perfect Instant Wrinkle Reducer I got from Beauty Box 5. It smelled bad, left a powdery tight residue on my face and didn't deliver any noticeable results. I also finished up the Cetaphil DERMACONTROL foaming face wash, a mini Clinique liquid facial soap, St.Ives Apricot Scrub and Body Shop Tea Tree Skin Clearning Toner. 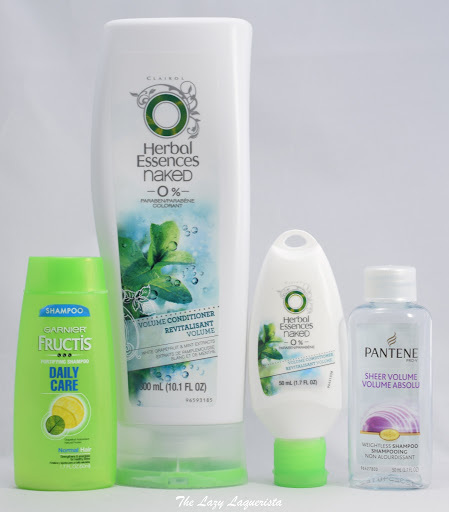 Herbal Essences Naked products continue to be one of my favorite lines. Pantene is a strong second. However, I didn't like the Fructis shampoo. I found my hair never felt really clean after using it and took less time to start feeling oily again.